Heat the olive oil in a large sauté pan or pot over medium heat. Add the onion, celery, and carrot with a pinch of salt, and sauté for 8-10 minutes or until the onion is translucent and the vegetables have softened. Add a bit more oil if the pan seems dry, and add the garlic and zucchini, and sauté 2 minutes more. Add the tomato sauce, sugar, bay leaf, basil, parsley, tomato paste, and salt, to taste, and stir to combine. Place in the slow cooker. Combine the ground turkey with the zucchini, garlic, Worcestershire, salt, parsley, thyme, pepper, egg, and bread crumbs in a large bowl, being careful not to over mix or the meat will become tough. Form into about (15) 2" meatballs. Heat the canola oil in a sauté pan over medium high heat, and add the meatballs. Brown on the top and bottom, about 2 minutes per side, and remove from the pan. Place in the slow cooker with the marinara and cook on low for 2 hours or until cooked through. 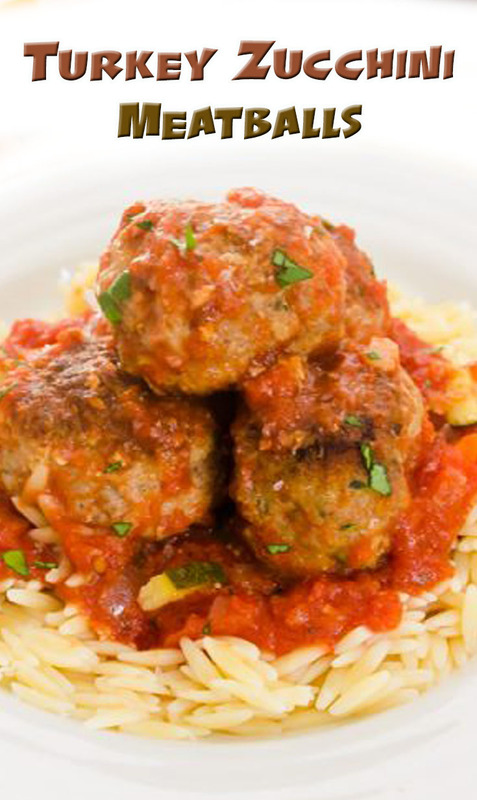 Enjoy over orzo pasta, spaghetti, or spaghetti squash!